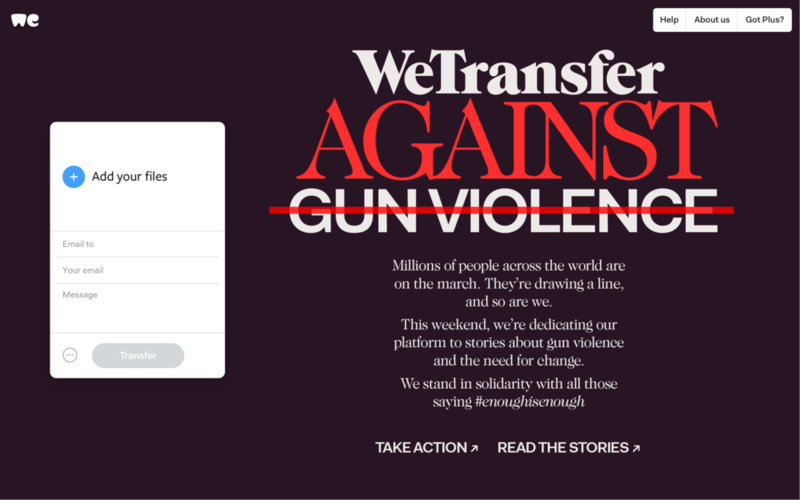 WeTransfer to dedicate its platform and 100% of its advertising space to projects speaking out against gun violence, in conjunction with the March For Our Lives. 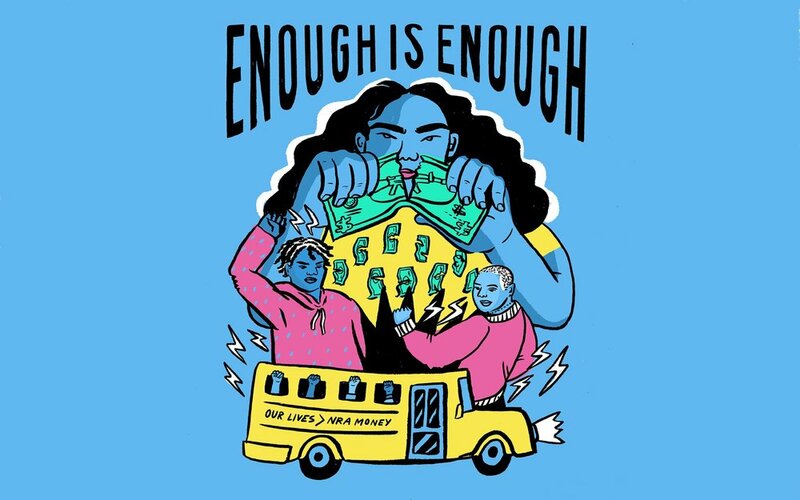 March 23, 2018 -- WeTransfer today announced an ambitious campaign in solidarity with the March For Our Lives demonstrations on Saturday, March 24, as kids, families and supporters demand the end of gun violence and mass shootings. 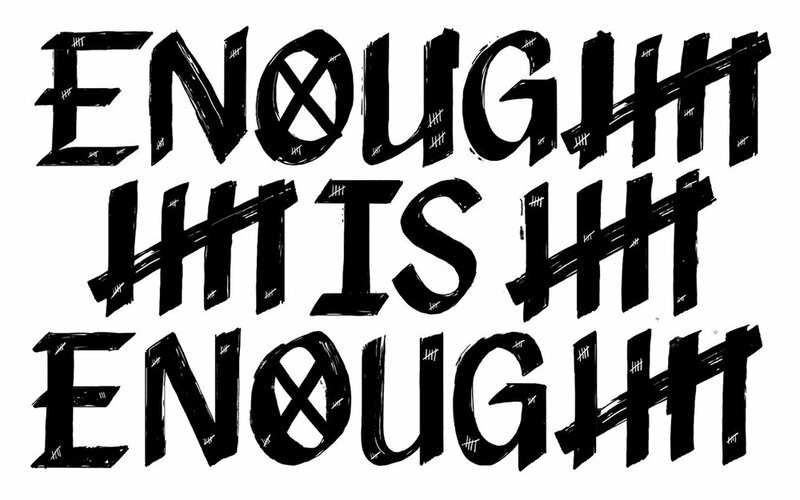 For 48 hours on March 24 and 25, WeTransfer will dedicate 100% of its advertising space globally to a wallpaper in support of common sense legislation and the need for change, promoting a series of creative projects on WePresent (WeTransfer’s editorial platform), which highlight perspectives on gun reform and the lasting impact of violence. WeTransfer has over 40 million unique monthly visitors, and the wallpapers on WeTransfer are expected to be seen over 7 million times during the 48-hour takeover. 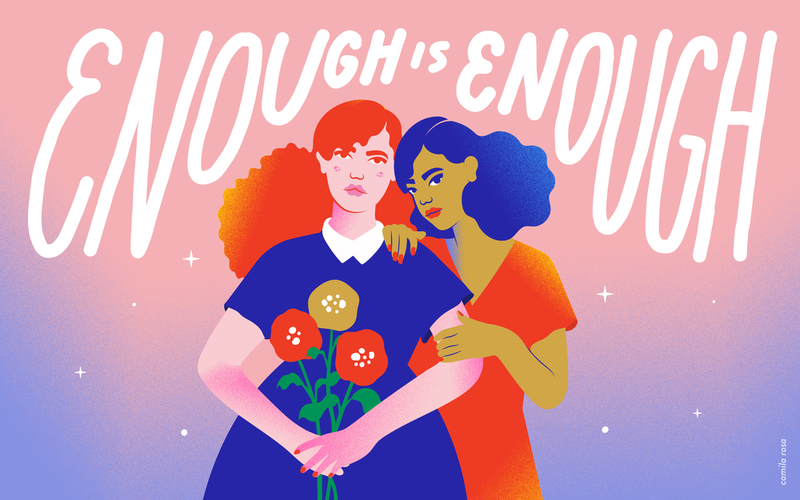 WeTransfer commissioned seven artists and designers, Edel Rodriguez, Kate Moross, Camila Rosa, Eike König, Ashley Lukashevsky, Brian Elstak and Henning Wagenbreth, to come up with an artwork around #EnoughisEnough. These pieces have been bundled in a download pack for protesters to print for the march. They can also be found on WePresent here. Ellen Utrecht/MikeTeevee and Kyle Hausman-Stokes, a director and US Army combat veteran, created a PSA featuring the voices of 16 military veterans speaking out about gun reform--specifically, the AR-15--and explaining that while such a weapon is appropriate for combat situations, it should not be in the hands of the civilian public. Craig Taylor, editor of Five Dials magazine and author of Londoners, takes a more personal and emotional approach with an interactive digital story about one survivor of a shooting in Utah. Moving through the story, which features illustrations created using gunpowder, requires participation and interaction from the reader, drawing them into the experience of the survivor. 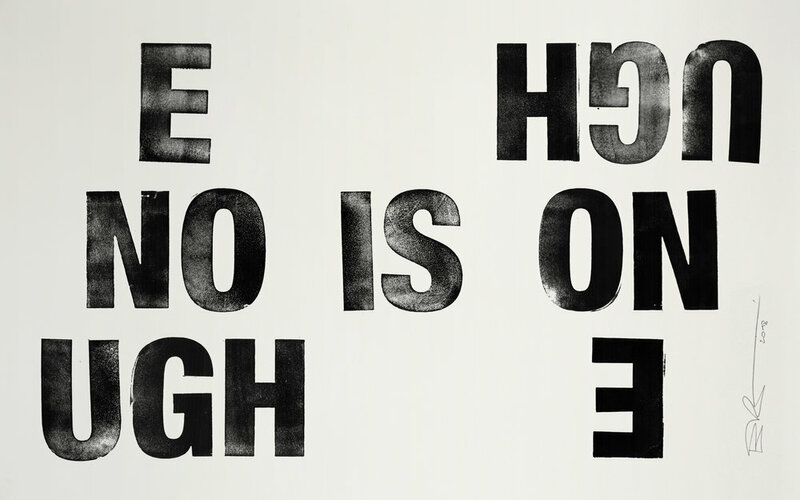 The gun violence campaign embodies WeTransfer’s commitment to standing up for human rights while amplifying important work in the creative sphere. 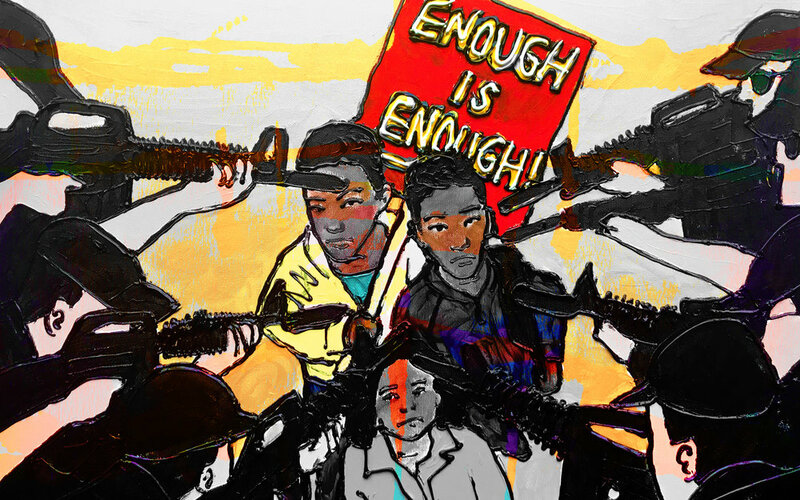 Each commissioned piece uses creative means to illustrate an important social and political issue, and works to educate and emotionally impact readers and viewers. 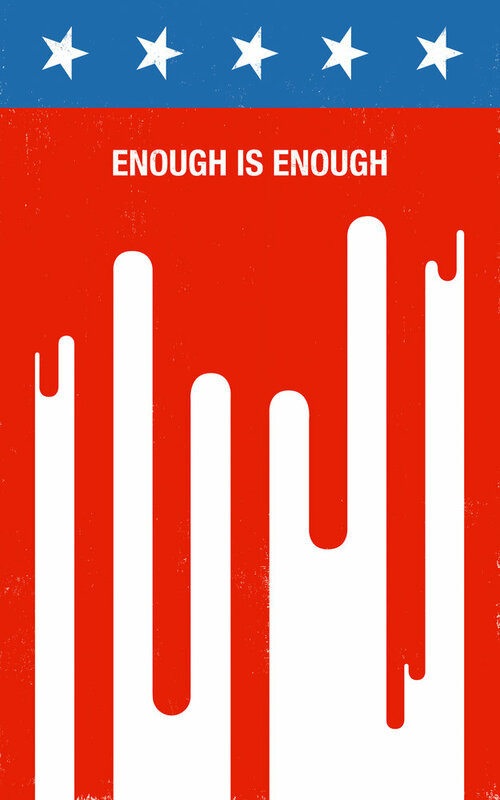 All four pieces on gun control will appear on WePresent throughout the week of March 19th, and on March 24 & 25 WeTransfer will run 100% of its wallpaper advertisements dedicated to promoting the projects and calling on users to take action in solidarity with the people marching this weekend and the victims of Parkland, Las Vegas, Orlando, Charleston, Sandy Hook, Blacksburg, Columbine, and the countless too many like them.